Blue Microphone is a well-known company when it comes to their microphones. 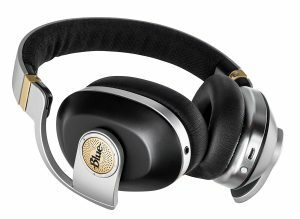 In recent years they have made some really great solid headphones and the Satellite Wireless is there newest pair. 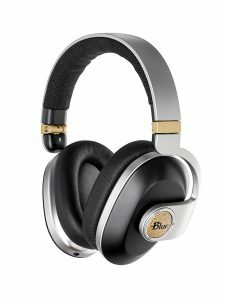 From the start, Blue has made it pretty clear that the Satellite Wireless headphones are meant to use with mobile devices on the go. 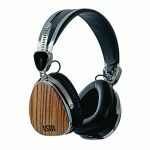 The metal construction will inspire a lot of confidence in the durability of the headphones. The headband has hinges so you can fold down the earcups to make it compact and easier to carry around. 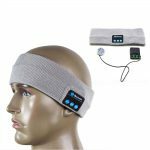 The ear cups also rotate a full 90 degrees making them pretty comfortable to wear around your neck and rest the ear cups flat on your chest. The Blue Satellite has padded earcups that are pretty comfortable but aren’t the most plush. They do an amazing job at isolation. At the point where the top of your head meets the headband, there is a really nice fabric padding that adds to the overall comfort and design of the headphones. FAIR WARNING; These headphones clamp down really tight on the head so it will start to get uncomfortable when wearing for long hours. On both cups are two golden circles with the Blue logo that have LED lights in them to give you feedback that the headphones are performing. If you pay close attention inside the earcups you will see that there are two drivers in them. The largest one 44mm and it’s for playing music, the smaller one is a 30mm driver and it’s specifically for noise cancellation. 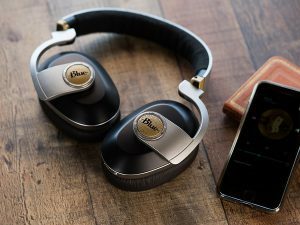 The noise canceling is pretty clever they have a dedicated pair of drivers that specifically produce out of phase sounds. The Satellites have Bluetooth 4.1 connectivity with aptX so if you have compatible devices you can stream at CD quality. Range is pretty good at up to 40 feet if there’s nothing in between. 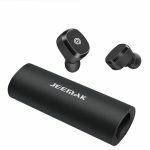 It has a 3.5 mm input at the bottom of the right earcups as well as a build in amp so you can push more power to the headphones without the need to invest in an external amp. On the bottom of the left earcup is a micro USB input for charging as well as a power button. Also on both logos, you will find 3 buttons. On the right earcup, you will see buttons with plus and minus signs for controlling volume and also a multifunction button that lets you pause music, skip between tracks and answer phone calls. On the left earcup, you get the amp button, Bluetooth pairing button, and active noise canceling button. FAIR WARNING; Because of where each button is located they will take some time to get used to, you will constantly be confused as to which button is where when the headphone is on your head. Battery life is 24 hours if you using only Bluetooth which is pretty good. If you’re using Bluetooth and active noise canceling, that time gets reduced to 8 hours of playback. This is because the headphones have to send power to the second pair of 30mm drivers for Active Noise Canceling. 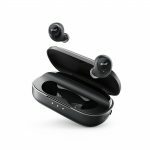 The noise canceling is pretty strong because the second driver that is dedicated to Active Noise Canceling (ANC), easily gets rid of the all the noise around you when you’re around the house. But it suffers when in stronger noise like when you’re on a plane you’re able to hear the hum of the plane engine very clearly. When you’re listening to your favorite tunes the lows are excellent with good low-end bass when listening with the wires. But when u connect via Bluetooth the lows don’t have the same depth but that aside the audio quality in Bluetooth mode is outstanding. Your music has plenty of details in the highs and lows. The Blue Satellites are a good pair of wireless headphones but I think the price is too high. 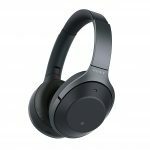 The active noise canceling is a good feature but it’s not great especially when there are better headphones in same price range that offer more like the Bose QC35 and the SONY MZR 1000X. One of the best features of the Satellite its ability to fold down to become very compact so you can easily carry it around. 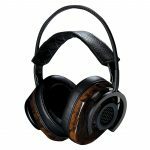 The Blue Satellite is a really good pair of premium noise canceling headphone that offers something a little different than its competitors and is worth the buy if you’re looking for something different. 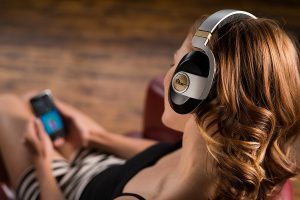 If you having any questions or opinions about the Blue Satellite Premium Wireless Noise-Cancelling Headphones please comment below I would love to hear from you.